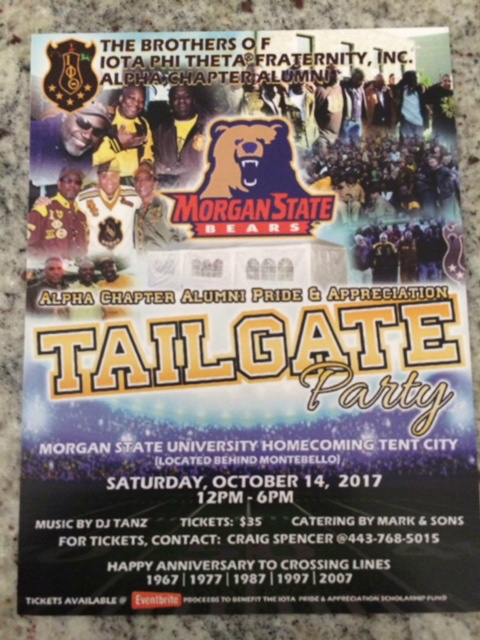 The very best tailgate in Baltimore City will be happening on the campus of Morgan State University at Tent City, October 14, 2017. The tailgate is being sponsored by the Brothers of Iota Phi Theta Fraternity at THE ALPHA CHAPTER, the founding chapter of the men of brown and gold. You absolutely enjoy yourself at this fabulous affair. Besides the catered buffet and bar you will also be able to assist in celebrating the 150th Anniversary of THE MORGAN STATE UNIVERSITY. It is MORGAN'S HOMECOMING so be ready to simply have the time of your lives "HBCU STYLE" because no college or university can compete with an HBCU STYLE celebration. 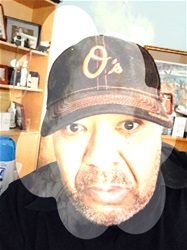 I would love for everyone to join us take the weekend and make Baltimore your home.